Welcome to the new old world of Barossa Shiraz. Drawn from vines planted in the 1880s (old), but made by relatively young winemaker Jason Schwarz (new). He’s from a well-known Barossa wine family (old), but makes wines in a modern style (new). A delicious wine it is too. 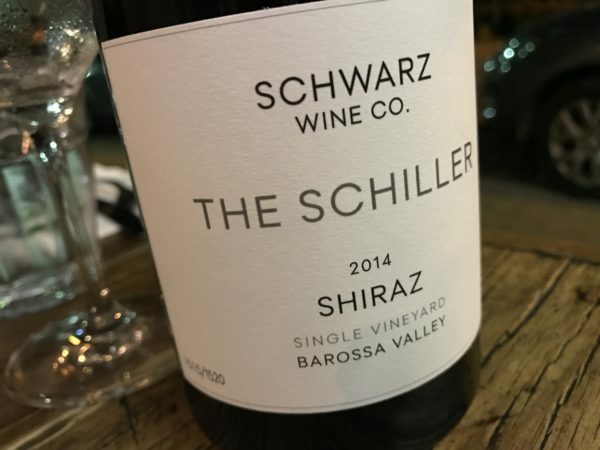 It balances up that throbbing, fully ripe, old-vine Shiraz intensity with a sense of restraint, the whafts of bacon fat, anise and smoked paprika filling this out beyond chocolate and plums, the texture grainy, the tannins lively. Bittersweet yet so energetic, this is cleverness in Shiraz form. So medium bodied and has an obvious elegance, despite the top shelf intensity. Top top tier Barossa Shiraz, in a convincing, savoury-yet-rich form. Best drinking: 2016-2028. 18.5/20, 94/100. 14.5%, $70. Would I buy it? I’d drink a bottle for sure. $70 is fair buying too.